Tomorrow is the biggest day of the year for restaurants. Mother’s Day. Everyone takes mom out to eat or has something at home. It can be disturbing to a diet, if you allow it. Remember that you can eat, but you should stick to portion control and carb control. If you do more carbs at that one meal, keep a count of them and work it out to have less throughout the day. Keep in mind the amount between 50-100. You can have a great omelette, but try to steer clear of buffets or eating all of the buffet food. Stick to eggs, bacon, sausage and try to avoid the bread, potatoes, pancakes and waffles. Have a bite, but you do not need to eat a whole piece. Ask for replacement items like sugar-free syrups, non-dairy creamer for coffee instead of milk and Splenda for sugar. Have fruit and/or grilled tomatoes instead of bread or potatoes. So, what if someone bought a cake and you feel you must have some. Get a sliver and only eat a piece of it or half of it. Don’t ruin your diet to make other people happy. Your gaining weight isn’t going to make or break someone else, but it will upset you. You could also bring your own desert, like Splenda chocolate pudding or low-carb ice cream that you buy or prepare the day before you go. You just let your host know in advance or when you get there that you are on a special eating plan and that this is your desert. No one has to know it is a diet. I have said things like, “I have to eat gluten-free now” or “I am not allowed sugar for now.” Telling people that a doctor ordered you to do something or that you are allergic to something usually shuts them up from their usual sabotage tactics to get you to be bad about choices like they are doing. Eat, but pick and choose and don’t be greedy. You are working to be low-carb and those high carb and sugar items will only make you feel worse later. 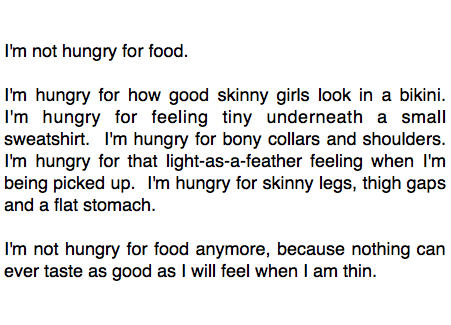 Remember: Nothing tastes as good as being skinny feels! Don’t use holidays to blow that! Oh, and have a Happy Mother’s Day. It is about the company and not the food! Keep reminding yourself about that.